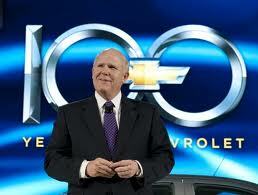 A few weeks ago, USA Today’s James R. Healey wrote a great piece about leadership ideas from GM’s CEO Dan Akerson. You can watch a video. Given recent association discussions as to whether association boards should hire someone from the industry/profession or an association professional, it is interesting to note that Akerson was NOT a car guy when he became GM’s CEO! This may provide a valuable example that helps answer the age old question as to whether association CEOs should come from within the industry or from an association professional. 3. Insist that good enough isn’t. 5. Be quick to capitalize on good ideas.
. Tackle the “back room” (including IT, accounting). 7. If it is not working, quit doing it. 9. Don’t get distracted from the main purpose you are there. As I read this piece, I couldn’t help think of the value if offers for a friend of mine who just became CEO of a large national association. A good game plan for his first six to nine months. Many of these nine tips can also be found in Race for Relevance and Road to Relevance from Harrison Coerver and Mary Byers CAE.